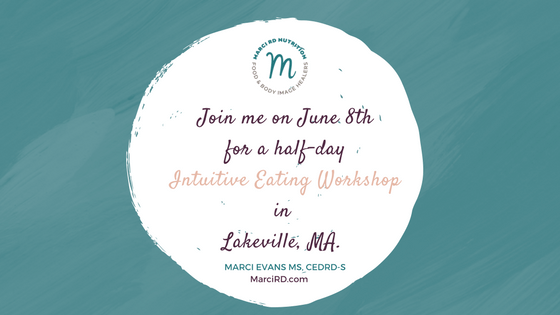 Southeastern Massachusetts Dietetic Association Intuitive Eating Workshop - Marci R.D. Understand and describe the current research that supports the use of IE in nutrition counseling settings. State the 10 Principles of IE and examples of these principles in action. Develop at least 3 strategies for integrating IE tools into their practice setting. May 30, 2018, registration required.